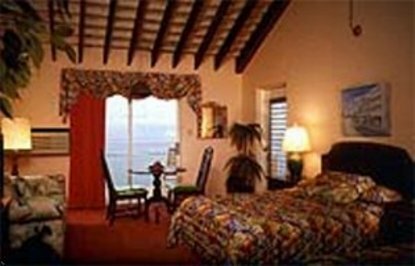 Overlooking the Atlantic Ocean, this superior tourist-class cottage complex offers comfortable accommodations for a relaxing stay. It is ideally situated for visitors to the area and has a welcoming atmosphere with friendly and hospitable service. The hotel has excellent facilities as well as comfortable guest rooms and public areas. All of the cottages are comfortable and nicely equipped to give a relaxed atmosphere. The hotel features a variety of facilities and services that are sure to meet the needs of both business and leisure travelers. Facilities include two pools, tennis court, and restaurant. The private, traditional Bermuda cottages overlook the ocean on the north shore. All units have kichenettes.